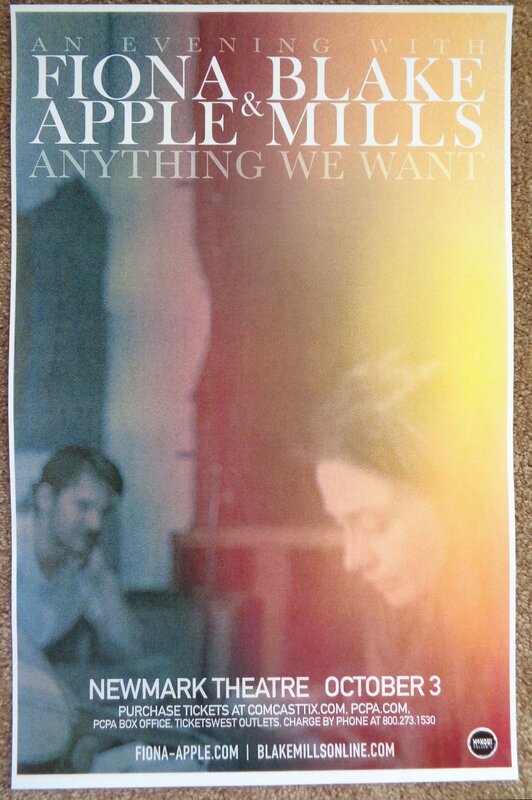 This FIONA APPLE and BLAKE MILLS gig poster is rare. It is a promo only available at ticket outlets and music stores to promote their October 3, 2013 concert at the Newmark Theatre in Portland, Oregon. This show was the one which made national news when (unfortunately) Fiona was heckled about her health and then broke down on stage.